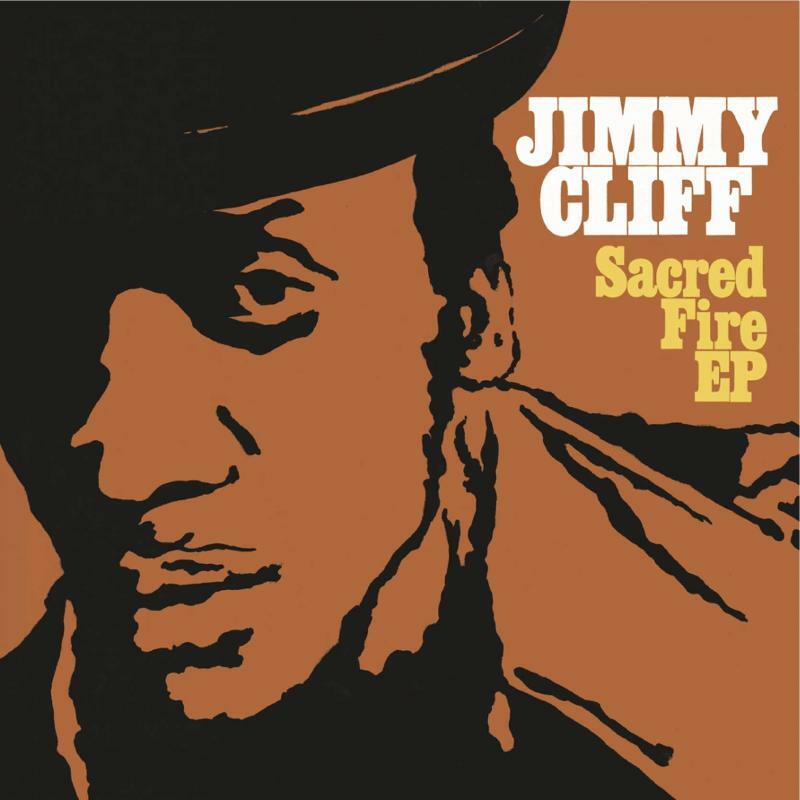 October 27, 2011 – Los Angeles, CA – Grammy-winning musician/actor/singer/songwriter/ producer Jimmy Cliff today revealed the details of his first studio effort in seven years. Entitled Sacred Fire EP, it was produced by Tim Armstrong (Operation Ivy, Rancid, The Transplants) and will be released on Collective Sounds on November 29th. Featuring a combination of originals and covers, Sacred Fire EP will serve as a pre-cursor to a new full-length album in early 2012. In conjunction with Record Store Day, on 11/25 (Black Friday), fans can purchase limited edition colored 12-inch vinyl of the EP, which will features an exclusive track entitled “World Upside Down”. On the new songs, Cliff expand on the heritage of a genre that he was such an integral part of popularizing. The music echoes Cliff’s work as a lifelong activist and purveyor of social justice – addressing issues such as war, economical instability, and political hypocrisy. Cliff is the only living musician to receive Jamaica’s Order of Merit, the country’s highest honor for achievement in the arts and sciences. In 2007, he was also honored with a doctorate from The University of the West Indies. In a career that spans nearly fifty years, he has sold more than twenty million albums, with over twenty-five releases to his credit. He has appeared in several films, including, most notably, The Harder They Come, whose impact on reggae and pop music in general can scarcely be overstated. He has collaborated with countless other legends including The Rolling Stones, Elvis Costello, Joe Strummer and Annie Lennox. Bob Dylan has called Cliff’s “Vietnam” the best protest song he ever heard, and a short list of artists who have covered Cliff’s compositions ranges from Willie Nelson and Cher, to New Order and Fiona Apple. In 2010, Cliff was one of six artists inducted into the Rock and Roll Hall of Fame. Cliff will spend the rest of the year touring Europe and putting the final touches on his forthcoming full-length release. On December 2nd, Cliff will headline The Orpheum in Los Angeles for KCRW’s Are Friends Eclectic benefit show.